brewery, a 40 barrels shiny modern plan. I performed some packaging, filling casks, kegs, keykegs and some bottles. During the second week, I mostly worked in the old brewery, a smaller and more traditional plan, now used for small batches and specialities. 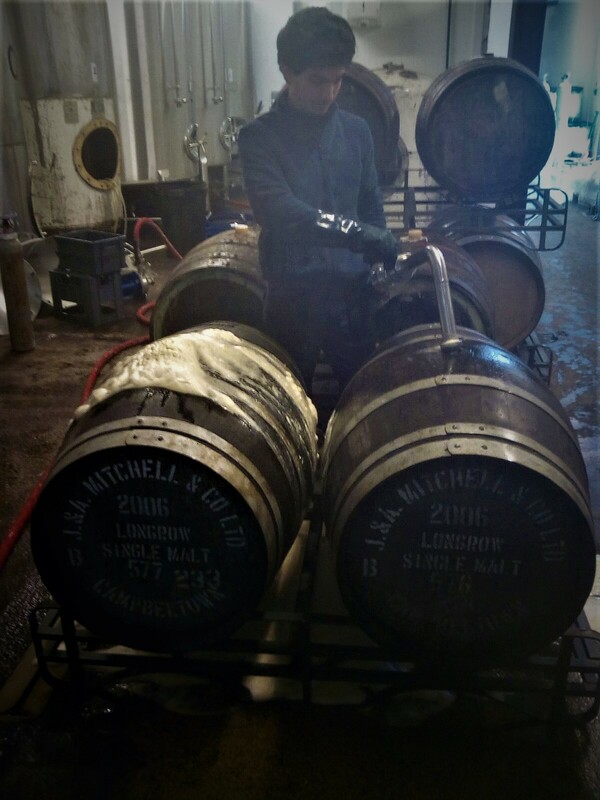 I started to be introduced to the brewing process over there, and I have been involved in some very interesting operation for Fyne Ales farmhouse project Origin: I filled some whisky barrels with two different beers, and I helped preparing a huge amount of blackcurrant that will age with a sour saison. perform in a future brewery of my own. Both the brewery and the office teams are extremely helpful and kind, I feel I can really learn a lot from them.